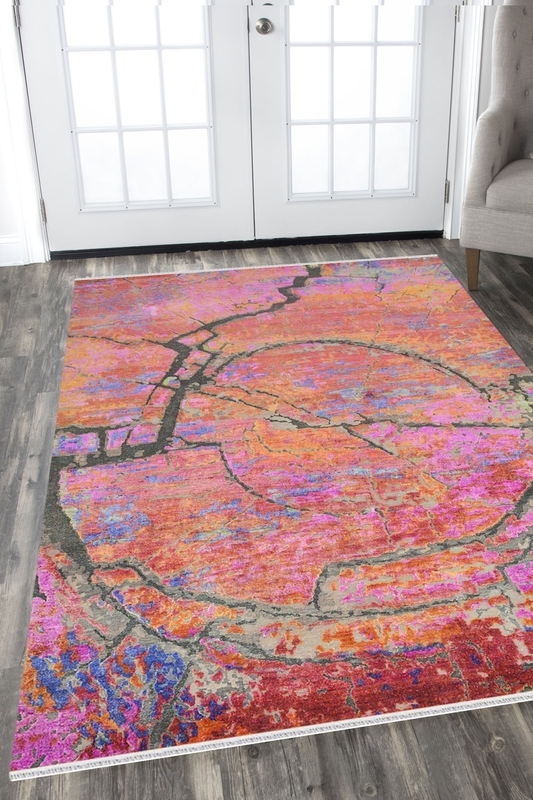 Adorn your space with this vibrant wall breaking design rug which is handmade in sari silk with detailed craftsmanship. This rug is best suited for a space with light and subtle interiors. - This handknotted carpet has a unique pattern. - This design depicts old cracked wall on the combination of pink and orange color. - This is very intricate design. It takes around 5 months to weave this gorgeous pattern. - This is a "One of a kind carpet" which is only available on Rugs And Beyond shop. - The main colors are pink and brown. The ground in the combination of pink, red, and orange colors and design in brown color. - This is suitable for Living room. You can also use this beautiful carpet for wall to wall hanging.